If you’re looking for that next home improvement project to bring something with a bit of pizzazz, LED strip lighting is the way to go! 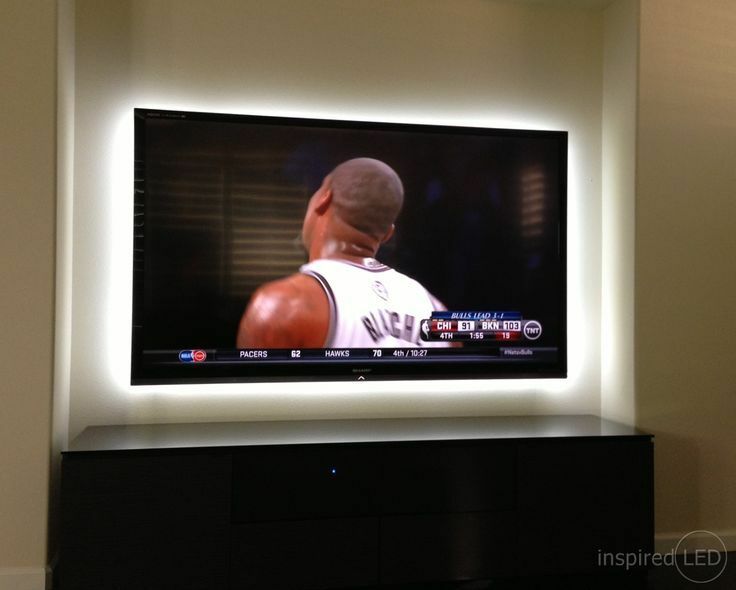 Now, we know what you may be picturing if you’ve heard of LED strip lighting in the past. Blinding, almost fluorescent lighting is sometimes not the best method of extenuating your home decor after all! Unappealing lighting is the result of a common mistake! Unfortunately, improper installation of LED strip lighting can make a potentially beautiful concept for your home a waste of your time and money! But we are here to tell you that when you know what you’re doing, this project can be both aesthetically pleasing and functional for purposes such as task lighting. Not to mention many of the top recommended brands offering LED strip lighting provide features such as WiFi control. These easy-to-use features are available in smartphone apps provided by the manufacturers and make customization a breeze. With highly customizable LED strip lighting, you can give your home a unique feel specific to your style and tastes! Recently, LED strip lighting has become an increasingly popular tool to add just the right touch to any room in the home. Interior designers and homeowners everywhere have taken a special interest in implementing them into their home improvement projects. Our local electricians serving customers in Raleigh, Cary, Clayton, Garner, Wake Forest, and all surrounding areas have the ultimate guide to making LED strip lighting work for you! It goes without saying that any lighting installation in your home should be adequately planned in order to prepare the best possible results. But don’t view this as a hassle! When it comes to LED strip lighting, you can have a lot of fun with the planning process! Take the time to think about the places in your home where discreet lighting options work best! 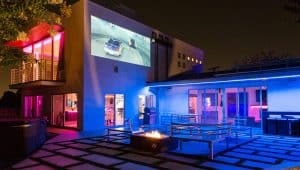 The best places for LED strip installation are where they simply accentuate already present features. The goal is to create eye-catching, atmospheric aesthetics without going overboard. I repeat, do not go overboard! 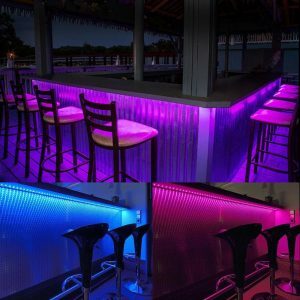 LED strip lighting is a fun thing to add to your home’s design and the customization options can be a ton of fun to play around with. I, myself, am quite guilty of this with the LED lighting that I installed in my bedroom. Switching from color to color can be, frankly, quite enjoyable as each option brings a new life to the room. That’s the power of LED lighting strips, though! So let’s talk about some of the best places in your home that can benefit from the versatility and beauty of LED lighting. While installing LED strips can be a potential DIY project you can be proud of, keep in mind that you can always call on a local electrician to help you make the most of the space. This is one of the best places to really put the versatility and functionality of LED lighting to good use. Warm or cool white lighting is our particular preference when it comes to color options in this space. Kitchens are where we frequently spend a decent amount of time in our home. Whether you have guests over for a dinner party, spend the evening whipping up a meal with family, or creep downstairs for that midnight snack this lighting choice adds both dimension and atmosphere. While many homes come equipped with fluorescent under-cabinet lighting, LED lighting is arguably the better, more efficient choice. 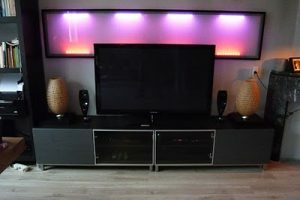 To begin with, LED strip lights offer versatility lacking in other lighting methods. They can be cut to just the right length and provide light that spans the entire length of the counter if you so choose. LED strip lights also demand much less electricity than fluorescent options, making them the clear choice in energy efficiency. The customization options also win out against fluorescent lighting by a landslide. Fluorescent lighting cannot be dimmed, nor can the warmth of the light be adjusted. 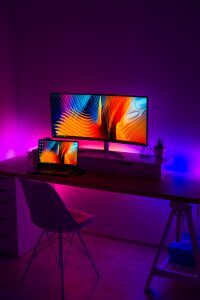 Whether you need a high brightness option to light up your workspace or dimmed lighting for the perfect atmospheric mood, LED strip lighting has you covered. Looking for the perfect ambiance for the most relaxing spot in your home? No matter the size of your room, LED lighting strips can fit into those nooks and crannies to turn your bedroom into your sanctuary. Let’s talk about the ideal places within a bedroom that offer the most that LED lighting can offer. While this may not be the most inconspicuous of the placements we’ll talk about here, there’s a lot of fun that you can have with this design. You would be surprised to know just how much better I’ve slept at night since installing LED strip lighting as a molding accent option. Again, with such customizability you can set your favorite colors, whether bright greens or cool blues, and personalize the most private space in your home. If class is more your thing, warm white lights set on dimmer settings will practically lull you to sleep. Looking to heighten your movie watching experience? Yep, LED lighting can do that too! This is perhaps my favorite of all the placements. 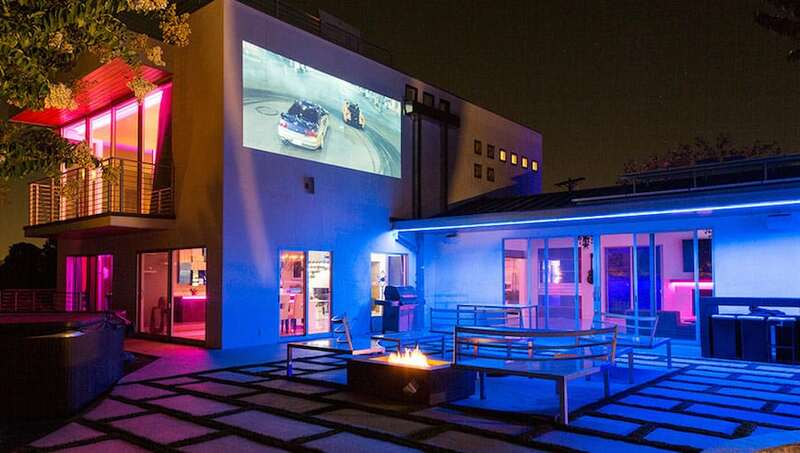 Some LED lighting brands offer amazing interactive features to their models that will literally react to movies, video games, and more! Let me tell you, there’s nothing like watching my favorite movies and observing how certain scenes make the lights react. While it’s an amazing sight and you might even be distracted at first, it’s an experience that you can’t miss out on! Even if you don’t want to dive in quite that deep, lighting strips placed in just the right places such as behind your entertainment center to highlight its place in the room can still add to the experience while keeping things a little less overwhelming. 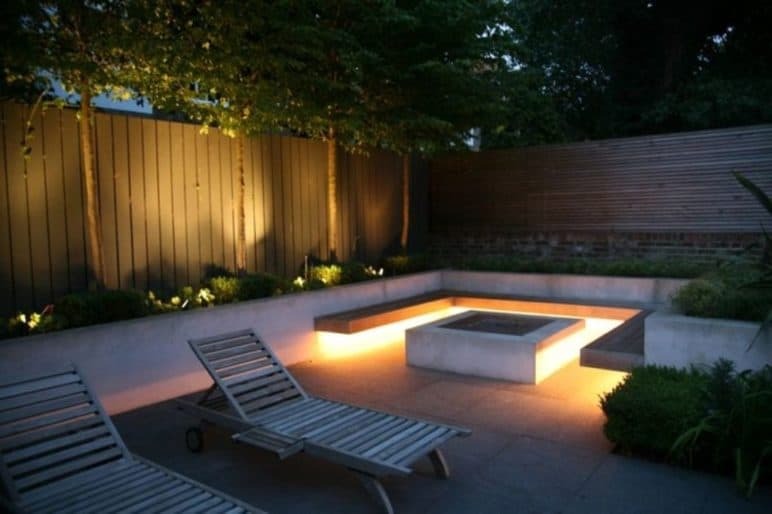 At Right Electrical Services, we love landscape lighting projects and can’t stress enough how drastically you can transform your front and backyard in ways you didn’t even imagine possible. And yes, to answer your question; LED lighting strips do come in outdoor, weather-proof options so you never have to worry. While it can take a lot of time and skill to create the perfect landscape lighting for your lawn, you don’t have to do it alone. 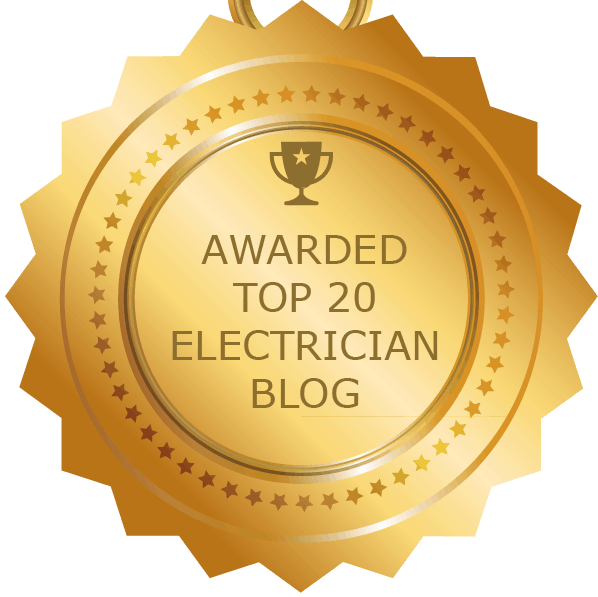 Licensed electricians are specialized and knowledgeable about these projects and we can bring your vision to life. If you consider yourself the DIY Master, however, we want to at least equip you with some suggestions to take on this particularly big home improvement project. What parts of your yard do you want to bring out and focus upon? Which features do you want to spotlight? What power sources do you need to implement to create the best experience? Questions like these are the most important to ask yourself before getting started. Remember, when it comes to landscape lighting less can sometimes be more and the general rule of “quality over quantity” should definitely be taken into consideration. Find your favorite features and highlight them. It’s also important to make sure to properly determine the length of your LED lighting strips. This factor is necessary to note dips and corners in the natural layout of your space. When you determine the length you’ll need for a certain area, you can then determine how much power you’ll need to supply to acquaint for something we call the maximum run. Maximum run is defined as the absolute longest a continuous strip can be powered without causing a voltage drop. Voltage drops occur when the amount of energy being supplied by a power source decreases while passing through the wire. If a strip is too long for your reduced energy to power your lights will have far less intensity. That definitely isn’t something you want. Again, outdoor lighting is a large task and you want to pay attention to detail so that when all is said and done, you’re happy with your choices. 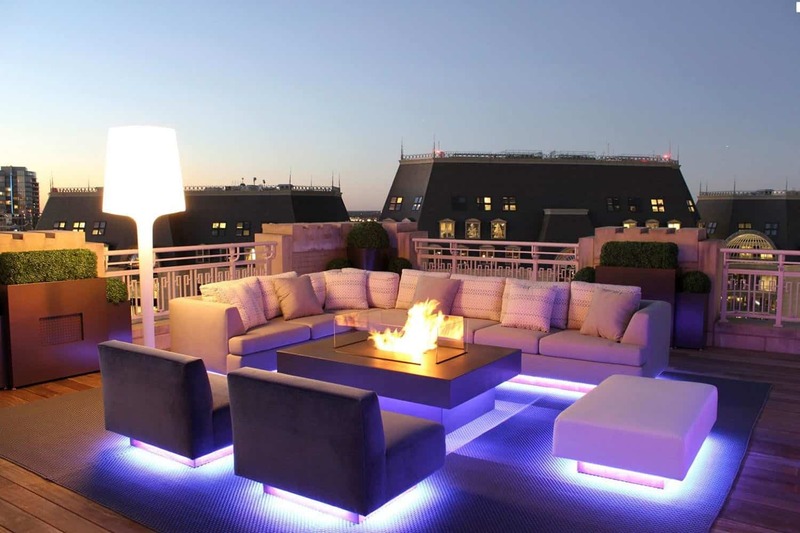 Use LED lighting to your advantage to create the ultimate outdoor space. We all could use a little more fresh air right? Controllers/dimmers/switches to ensure you get the most customization out of your lights. CPS Adapters– To connect strips to a power supply. Pigtail Connectors– Used to join strip sections together where needed. Extra Wire– To be prepared for unexpected issues caused by the natural lay of the land. Mounting/ Maintenance Options For Your Needs– There are an endless amount of options for the mounting of your LED landscape lights. Additionally, some accessories maintain the lifetime of your weatherproof lighting. Common choices include mounting clips, heat shrink tubing, wire nuts, and many more. Make sure to take the time to enjoy the beauty brought to your lawn! Landscape lighting is no small task and you put in the work! 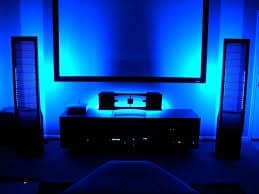 LED lighting strips of any variety available to you are one of the best improvements to any home! We hope we’ve successfully given you all the tips and suggestions to make any space in your home more functional. Aesthetically pleasing lighting can make all the difference for you, your family, and friends. As always, Right Electrical Services is here to take care of any and all of your electrical needs. Call on us for your next landscape lighting project or LED lighting installation. 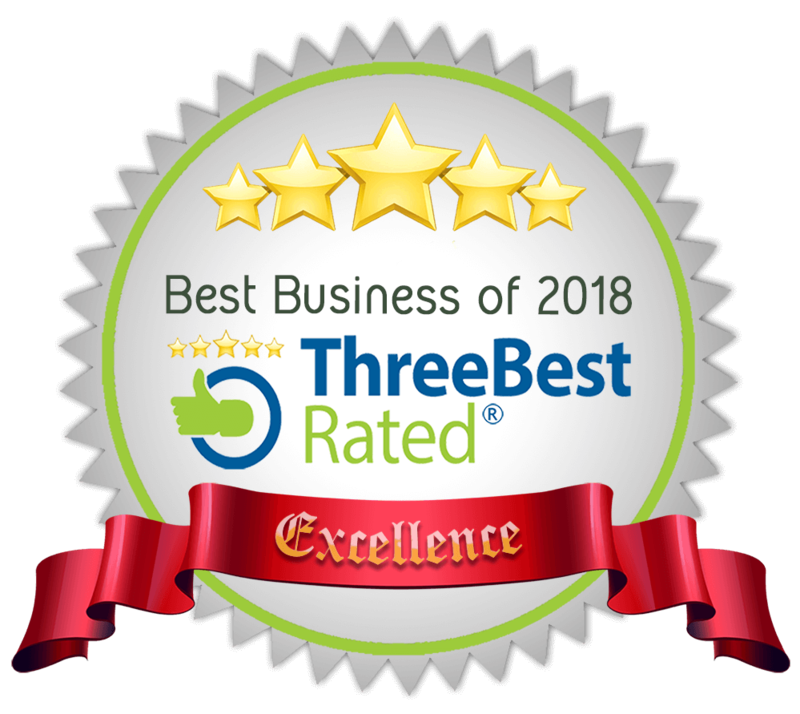 We are always happy to help our customers make the vision they have for their home a reality! Give our licensed electricians a call now at (919) 359-1017 and let’s get started helping you to do it the “Right” way!